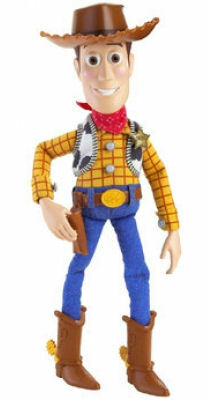 The ad which offered shoppers an eleven inch Woody for $49.99 is part of Target's Toy Story 3 promotion which has been a great success all summer long since the release of the Pixar movie. Target spokesperson, Delores Schankhoeffer said, "We are sorry that certain people found the description of the product offensive. At Target we pride ourselves on describing our goods accurately so that our guests are fully informed before making a purchase decision." "The advertising department did not consider 'eleven inch Woody' to be offensive," she continued, "and we assumed the interns who created the description were laughing at the toy's comical features."